QuakeCon brings together some of the greatest players in the world to compete in the Quake Live Tri-Master Tournament sponsored by Intel for $40,000 in prize money. These competitive action-filled matches will take place during QuakeCon from Thursday, July 23rd – Saturday, July 25th at the Hilton Anatole Hotel in Dallas, TX, and will broadcast live daily on Twitch.tv/QuakeCon. Additionally, QuakeCon attendees will have the chance to win their share of prizes in the QuakeCon Trails with daily drawings of $2,500 cash, a Ventrilo ‘Ultimate Power Up’ sweepstakes raffle ticket for a chance to win $10,000, and other prizes. The Quake Live Tri-Master Tournament will feature two competitions. The Swiss Triathlon Tournament will put players to the test in a triathlon comprised of Capture the Flag (CTF), Team Deathmatch (TDM), and Duel to determine which team will stake their claim as the one true Tri-Master Champion. Teams who come out on top will share a prize of $32,000. Following the Triathlon Tournament, one team member from each of the two top ranked teams will face off to claim an additional $8,000 and the title of Grand Master Champion. Participants in this year’s QuakeCon trials will be competing for a plethora of prizes, including a daily cash prize of $2,500 and a chance at securing a Ventrilo ‘Ultimate Power Up’ sweepstakes raffle ticket. Each of the Ventrilo sweepstakes tickets gives attendees a chance at winning a $10,000 cash prize. The gameplay-related trials, including Wolfenstein: The Old Blood’s Challenge Modes, will be held in two separate events on Friday, July 24th and Saturday, July 25th from 10am – 5:30pm CT in the Exhibit Hall. 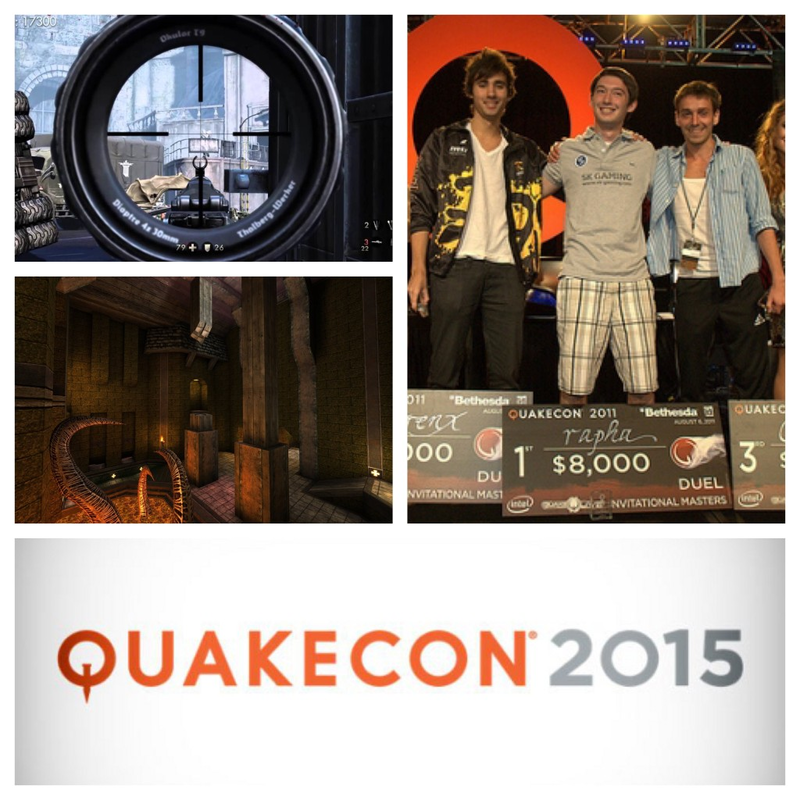 For more information on QuakeCon 2015, you can check out: www.quakecon.org.